Dean Phillips is an experienced DUI attorney who can help you understand your rights and what to expect after you have been arrested for DUI. Georgia maintains strict laws about driving under the influence of drugs or alcohol. You need an advocate in your corner to help you understand your rights. Do you know the penalties as a first-time offender? Are you familiar with Georgia’s Implied Consent law? In the state of Georgia, the arresting officer is required to notify the Department of Driver Services (DDS) about your DUI, but Attorney Phillips will submit a “10 Day Letter” to the DDS to prevent the suspension of your license while waiting for a court date in your DUI case. He’ll then attend a hearing on your behalf to challenge your suspension. Let your Marietta DUI attorney determine whether you were treated fairly during your traffic stop. After you have been arrested for DUI, the officer is required to read you the appropriate implied consent notice based on your situation – a different notice exists for over 21, under 21, and commercial drivers. The over-21 notice will inform you that Georgia law requires you to submit to some form of chemical testing to determine if you are under the influence of drugs or alcohol. Whether you refuse or not, your license will be taken by the officer and a temporary permit issued in its place. Your driving privileges could potentially be suspended for a year or more, depending on your situation. If you’re a first-time DUI offender, you may be subject to up to one year of jail time, up to a $1,000.00 fine, and 40 hours of community service. You will also be required to attend drug and alcohol counseling and receive a clinical evaluation. If this is your second DUI offense, then you could be facing one year of jail time, up to a $1,000.00 fine, 30 days of community service, clinical evaluation, and drug and alcohol counseling. In addition, you may have an interlock ignition device place on your vehicle, and your driving permit could be limited. If this is your third DUI, then you’ll spend at least 15 days in jail, pay up to $5,000.00 in fines, serve the community for a minimum of 30 days, receive a clinical evaluation and treatment, and attend drug and alcohol counseling. You may also receive an interlock ignition device on your vehicle and a limited driving permit. On top of that, your name will be published in the newspaper, and the Georgia Department of Motor Vehicles will revoke your license for five years and take your license plate. 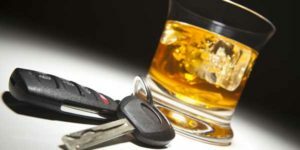 If you are convicted of a DUI, keep in mind that you are responsible for paying the fines, for the alcohol and drug program, for your license reinstatement, and for the increase in your auto insurance. These fines increase with the number of offenses. Call on Attorney Dean Phillips to help you navigate the legal system and be your advocate. He will help get the best deal for your situation and potentially avoid some of the issues and costs associated with a DUI conviction.